I have been doing research on trucks for over a month now, and have decided to go with the Tundra after riding in a 1794 edition. I looked around the area, and found a CPO ‘16 Platinum Tundra with 46k miles about 4 hours from my house. It was a leased vehicle. I got all the financing in order from a local place (2 hours), and drove to the dealer yesterday to purchase the truck (about 4 hours one way). It’s been on the dealers lot for about half a year now. The truck looked awesome. There were some issues though. The passenger chrome mirror cap was busted, and there wasn’t any previous maintenance records, except for after the trade-in. My father and I test drove it, and noticed significant wobble. We were looking through the paperwork in the truck, and found the dealer did an alignment, mounted and balanced the current tires, and resurfaced the rotors. Upon closer inspection, all 4 tires were dry rotted, and around 50% tread life. During the test drive, I noticed the turns felt like I was on a boat on a windy day. The floating sensation during a turn gave me a headache. The dealer offered to send me a check for 2 tires if I ended up buying the vehicle. I ultimately walked away from the truck, though I really liked the Tundra platform. I haven’t run into the headache issue before (perhaps my inner ears and equilibrium were playing tricks on me yesterday), or it was the tires/suspension. Would you be concerned with the wobble, or would that be fixed by new tires? Also, any suggestions on the suspension and how to fix that during the ride? I didn’t really want to spend $36k on a vehicle that already needs ride repairs. I do understand that it’s a used vehicle and some wear and tear items need to be replaced. I guess I am just looking for some guidance. I would be concerned with not only what you do know, but more importantly (to me), what you don't know. The lack of information on the truck is pretty surprising and would make it easy for me to move on. The lack of service records is odd, as the first two years should have had free maintenance. Typically diy guys use the free ones, then stop when they are done. Some guys don't, but most will use at least one freebie. The soft suspension/boaty ride is typical. You did the right thing walking away. No maintenance records? It had Toyota Care (free oil changes) for the first two years. Records should exist. If the tires are in poor shape on a 2-3 year old truck, and there are no records, that leads me to believe that the truck wasn't maintained well. I've got every receipt for every service on my 2016. There are better trucks out there. No records and being a lease vehicle I'd pass on it. Some people that lease don't care about maintenance because it is a lease vehicle..
My wife has bought her last 3 vehicles used, but they were dealer demos. They all had maintenance records and low mileage.. 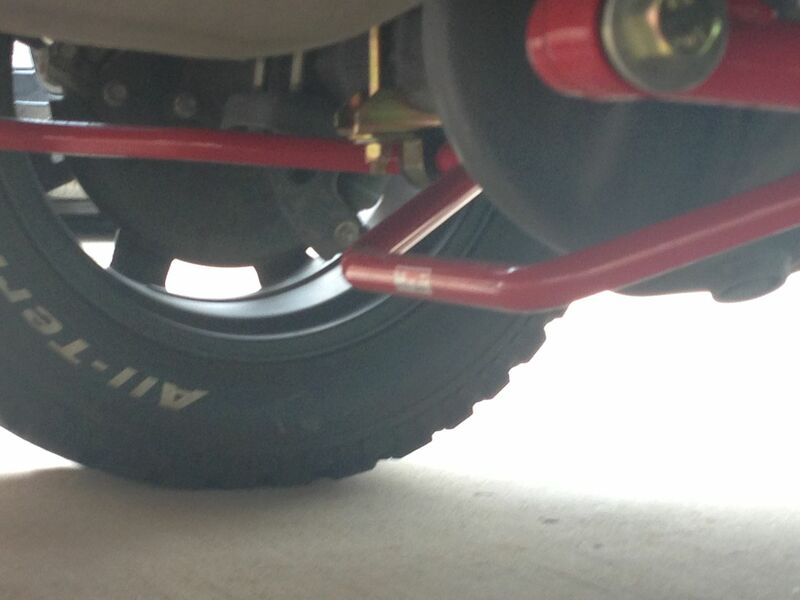 If you are new to Tundras, I'd suggest a TRD rear sway bar if you end up buying a Tundra. It helps a lot on turns and even highway ramps at higher speeds. Thank you all for your feedback. I am back on the hunt for the right truck for me. It's difficult to find a used one since the new ones are a little out of my price range. Check carfax for ownership history in areas that were recently flooded. Even if there's no history shown of repair, even if there's no evidence of water damage, I avoid anything that even MIGHT have been immersed. They fix everything except the electrical gremlins and sub-upholstery/carpet rust that turns up about 3 months later. I would ask for new tires from the dealership. Then test drive again with new tires and check for alignment & shocks. Then offer your best price....or walk away. Last edited by rbreyley; Today at 11:28 AM.